In a tweet today, the usually reliable tipster evleaks confirmed nearly all key specifications for the upcoming Samsung Galaxy S8+ smartphone. The spec sheet reveals a 6.2-inch QHD+ Super AMOLED display (or 6.1-inch if you account for the rounded corners) and 4GB of RAM. Samsung Galaxy S8+ spec sheet. Impress your friends, confound your enemies...with knowledge. 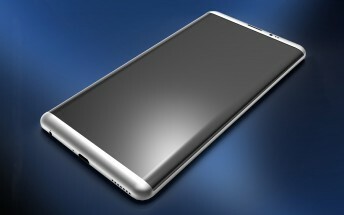 Other specs include 12MP Dual Pixel main camera, 8MP front shooter, and 64GB internal memory. The handset is 4G LTE capable, IP68 certified, and is secured by Knox. It also features an iris scanner, and supports Samsung Pay as well as wireless charging. The spec-sheet also mentions earphones tuned by AKG (Harman). The only key specs missing in this sheet is the chipset and the battery capacity.